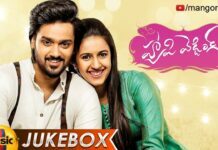 Sumanth Ashwin and Niharika Konidela starring Happy Wedding First Invitation Teaser released, getting a super response from the Audience. The makers are trying to promote the film in a unique manner. The Movie revolves around the wedding and happenings that are associated with it. 24-second Happy Wedding First Invitation teaser is quite interesting as it raises the curiosity levels, especially for people who love family entertainers. Sumanth Ashwin and Niharika Konidela‘s on-screen pairing has already grabbed keen attention. While S Thaman handles the background score, Shakthi Kanth Karthick will compose the tunes for the film. Directed by Lakshman Karya and Music by Shakthi Kanth Karthick. 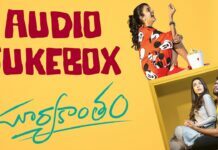 Produced by M Sumanth Raju on Pocket Cinema banner, Happy Wedding Full Movie also ft. Murali Sharma, Naresh, Indraja Pavithra Lokesh, Tulasi, and Annapurnamma.